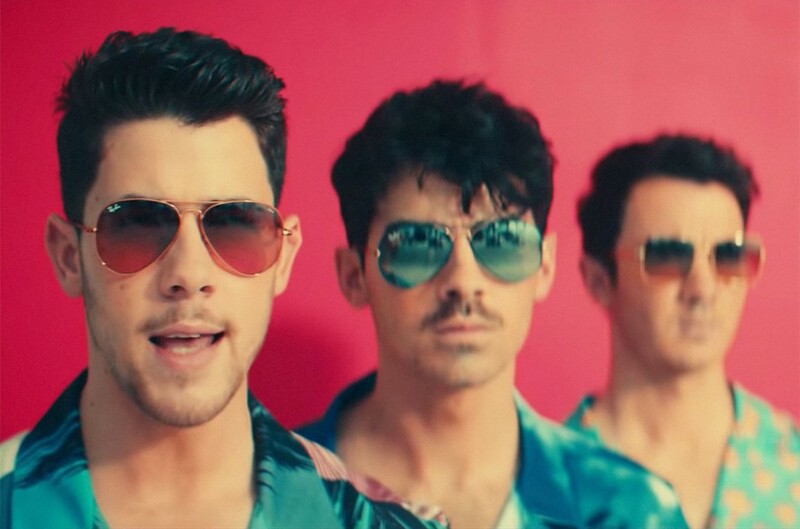 Jonas Brothers' 'Cool' Heats Up on Hot 100 With Debut in Top 40 - Pop It Records - NEW MUSIC EVERYDAY! After landing their first Billboard Hot 100 No. 1 with "Sucker," which launched atop the March 16-dated chart (and spends a sixth week in the top 10, rebounding to No. 6), Jonas Brothers add a second 2019 hit. The trio's "Cool" debuts at No. 27 on the Hot 100 (dated April 20), as it arrives at No. 3 on the Digital Song Sales chart with 29,000 first-week downloads sold in the week ending April 11, according to Nielsen Music. The track also enters Streaming Songs No. 41 with 13.5 million U.S. streams. On the Pop Songs airplay chart, "Sucker" ascends 4-2, while "Cool" climbs 39-26. Until its pair of latest Hot 100 entries, the recently reunited group had not appeared on the chart since 2013. As previously reported, Lil Nas X logs a second week atop the as "Old Town Road," now featuring Billy Ray Cyrus, who joined for a remix released April 5, rules with a record-shattering streaming week. The track leads the Streaming Songs chart for a second week with 143 million U.S. streams (up 207%). As the track dips 14-15 on the Hot 100 after peaking at No. 6 upon its debut in December, becoming Mill's first top 10 on the chart, he earns his first entry on Pop Songs, where it starts at No. 40 (up 10 % in plays). The collab topped the Mainstream R&B/Hip-Hop airplay chart for three weeks in March. Max's breakthrough hit reaches another new Hot 100 high (19-16) and becomes her first top 10 on the Radio Songs chart, rising 12-10 with a 10% boost to 62.5 million audience impressions. It also gains by 15% to a new weekly-best 16,000 downloads sold. Hussle posthumously earns his first top 40 Hot 100 hit, as do Ricch and Hit-Boy, as the song bounds 44-26. In the first full week of tracking after Hussle's death on March 31, the single drew 23.7 million streams (up 44%), as it surges 29-11 on Streaming Songs. It jumps 17-11 on Hot R&B/Hip-Hop Songs, marking Hussle's best rank on the chart, and becomes his first top 10 on Hot Rap Songs (15-9).